The upcoming 2013 Malibu loses some of its bulk--so if you're shopping for a nearly full-size sedan, the 2012 model is a better bet. It's one of GM's best-executed products of the past few years, and even in its final year on sale, the 2012 Chevy Malibu still ranks highly for its spacious cabin, smooth performance and handsome silhouette. 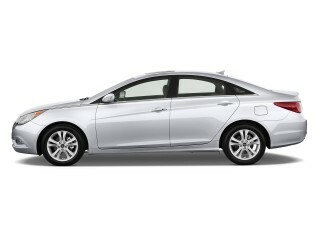 GM introduced the current Chevy Malibu in 2008, and since then, the big family sedan hasn't changed much. 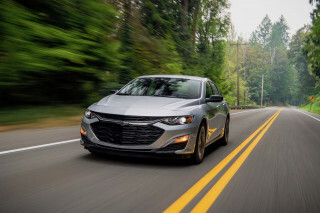 It hasn't had to: the Malibu emerged as one of GM's best-executed products in a long time, and with just minor updates, it's more than held its own against new generations of the Accord, Camry, Altima, Sonata, Optima and Fusion. Just ahead of a new, smaller sedan arriving next model year, the 2012 Malibu delivers quality and refinement in an affordable four-door package. It may not be daring, but the Malibu has a nicely underplayed look that's handsome, inside and out. Clean-cut might be the best way to describe the sheetmetal. The split grille and blunt nose have a smooth, clean look that trails down the doors to a semi-stubby rear end with taillights highlighted by round lamps, like those found on the Corvette. The takeaway is subtle, clean--still a refreshing change from some of the more dramatic, overwrought shapes on the market today, maybe better even than the replacement coming next year. The cabin's sedate and attractive, too, with a straightforward layout of controls, efficient design, and quite a good level of material quality and fit and finish. In that way, this Malibu was the sign of change at GM from the drab car that preceded it. The Malibu still comes in four- and six-cylinder form, while smaller family sedans have moved to all-four-cylinder lineups. 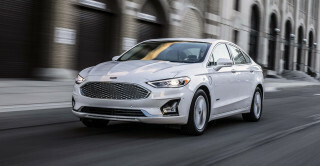 Here, the base powerplant is fairly competitive: it's a 2.4-liter four-cylinder teamed to a six-speed automatic, for a total of 169 horsepower and an EPA gas-mileage rating of 22/33 mpg. 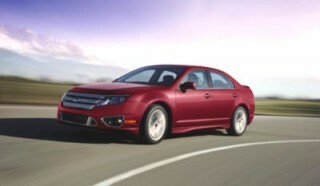 That's competitive with the Fusion, but a few digits off the 35-mpg highway figures pegged by the Sonata and Optima. It's quick enough for most uses, and neatly avoids a rental-car feel with very smooth power delivery. GM's potent 3.6-liter V-6 remains an option; its 252 horsepower provide a lot of refinement and kick for more demanding drivers, but its fuel economy numbers of 17/26 mpg are unimpressive. Neither Malibu feels very sporty, in any case, with perfectly predictable ride and handling motions that veer sharply away from the likes of the crisp-steering Fusion and Altima. The Malibu clearly puts the bias on practicality and refinement, with just a hint of driving enjoyment. Sports-car reflexes in family sedans matter less than big interior room and supportive seats, and those the Malibu has all over smaller rivals. It's spacious, and though the seats could use just a little more lateral support, the Malibu is one of the larger cars in its class, up there with the Sonata, just shy of the Honda Accord and the latest Volkswagen Passat. The front seats are among the most comfortable in the mid-size sedan class, while the back bench has more legroom than most of its rivals, except for the Accord and that huge new Passat. Trunk space is usefully large, at 15.1 cubic feet. Safety is another strong suit of the current Malibu. All models have standard traction and stability control paired with anti-lock brakes, as well as dual front, side and curtain airbags. OnStar telematics is installed in each one. And crash-test scores put the Malibu near the top of the large sedan class, with a Top Safety Pick from the IIHS, and four stars overall from the NHTSA. The Malibu's features list has fallen behind the competition, as it's aged. All versions--base LS, mid-range LT, and luxury LTZ--have standard power windows, locks and mirrors; keyless entry; steering-wheel audio controls; and climate control. On the LTZ, features like remote start, LED taillamps and ambient lighting are standard. Bluetooth's an option, though (it's standard on the Korean sedans), and the Malibu lacks any option for resident hard-drive navigation--GM suggests you call OnStar for turn-by-turn voice instructions, a method we've tried and found less reliable than on-board mapping. Inside and out, the 2012 Chevrolet Malibu is conservatively styled yet handsome. The 2012 Chevrolet Malibu may not be daring, but it has a nicely underplayed look that's handsome, inside and out. With the current generation of the car introduced in 2008, the Malibu has been on sale several years without major design changes, yet it remains one of the most handsome options in the class. Clean-cut might be the best way to describe its sheetmetal. The split grille and blunt nose have a smooth, clean look that trails down the doors to a semi-stubby rear end with taillights highlighted by round lamps, like those found on the Corvette. The takeaway is subtle, clean--a simple, honest design compared to the other more dramatic, overwrought shapes being sold today, maybe better even than the replacement coming next year. 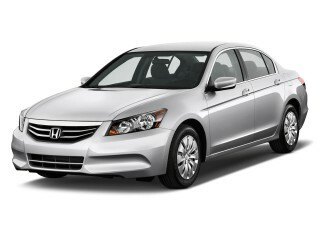 Inside, the two-tone theme and high interior quality set a benchmark in appointments and design. The Malibu was one of the first signs of change in GM interiors, compared to the drab cabins of just a few years ago. Driving enjoyment really isn't part of the 2012 Chevrolet Malibu's mission--although those with few performance expectations could be pleasantly surprised. Refined comfort is the clear priority over outright performance in the 2012 Chevrolet Malibu, but its fundamentals won't disappoint most families. 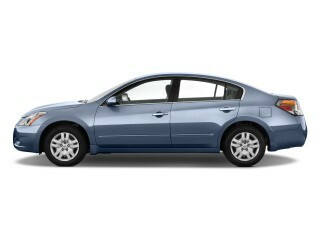 The 2012 Malibu handles well enough in everyday driving, and its available V-6 delivers strong acceleration. But even with the V-6, the Malibu doesn't even try to play the part of a performance machine. V-6 models do however come with hydraulic power steering that we've found to have much better feedback than the fuel-saving electric system in four-cylinder models. 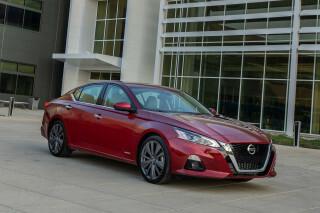 Across pretty much the entire lineup, comfort trumps performance in the ride and handling department; handling is predictable and confident enough, but not as crisp and responsive as the Ford Fusion or Nissan Altima. The 2012 Chevrolet Malibu has a smooth ride, roomy interior, and tight, quiet cabin, making it one of the top mid-size sedan picks for comfort. Sports-car reflexes in family sedans matter less than big interior room and supportive seats, and the packaging of the 2012 Malibu acknowledges that. What you get, no matter which trim, is a very well designed interior, featuring spacious seating, high-quality materials, and a comfortable, quiet ride. Trunk space is usefully large, at 15.1 cubic feet (but surprisingly, not as large as that of the smaller Cruze). 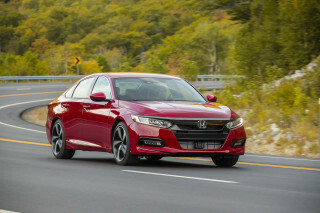 The front seats are among the most comfortable in the mid-size sedan class, while the back bench has legroom besting most of its rivals, except for the Accord and that huge new Passat. The Malibu's rear sear can accommodate three bigger-framed adults in a pinch—an ability which not all mid-sizers can claim—and the seats themselves feature adult-sized contouring. About the only thing we wish for is a bit more lateral support for the front seats; you'll be sliding around a bit in the corners. Back when the current Malibu was introduced, five years ago, it earned plenty of kudos for the look and feel of its cabin materials. Even today they stand as impressive--especially at the more affordable end of the lineup. Upholstery, switchgear, and trims feel high-quality, and a deep center console, several smaller storage spaces, and a 110-volt rear outlet add usefulness. 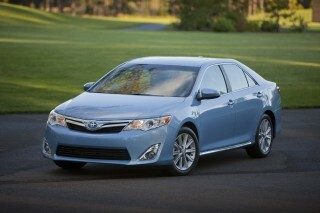 Again, the 2012 Malibu delivers exactly what it promises, prioritizing refinement over sharpness and dynamics. And with a ride that's absorbent but not too firm, plus good isolation of engine and road noise thanks to specially laminated window glass, acoustic insulation, and composite liners for the wheel wells, the Malibu has one of the quieter cabins in its class. Consider that some V-6 models get lower-profile tires that might increase harshness, however. 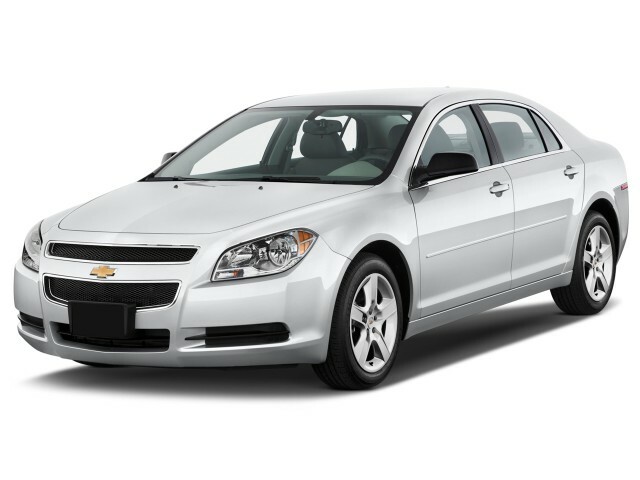 The 2012 Chevrolet Malibu is strong in safety, and one of the better picks for security-conscious families. Safety is another strong suit of the current Malibu. Anti-lock disc brakes, traction and stability control, and a smorgasbord of airbags are all included as standard features. The standard suite of OnStar emergency telematics services (subscription required) was last year upgraded to version 9.0, which includes a six-month trial of its Directions and Connections service with Turn-by-Turn navigation. Crash-test ratings have been excellent overall. The 2012 Malibu carries over its top 'good' scores in all IIHS crash tests, including the new roof strength test, earning it a Top Safety Pick award. In the stricter federal tests that were phased in last year, the Malibu gets a combination of four- and five-star ratings. The 2012 Chevrolet Malibu is looking most dated with respect to its feature and options lists, which lack connectivity and touch screens, but otherwise it's equipped well. The Malibu's features list is respectable, but it's fallen behind the competition as it's aged, lacking high-end options now made available by segment rivals. The Malibu lineup consists of three models: the base LS, mid-range LT, and luxury-packed LTZ. Within those trims their are numbered subtrims in somewhat confusing codes such as 2LT and 3LT. The base LS comes with enough goodies to suit most drivers, including power accessories, keyless entry, and steering-wheel-mounted controls all fitted as standard. Splurge a little extra for the range-topping LTZ and you get a whole assortment of extra features such as remote start, automatic climate control, and a universal remote, plus a number of appearance extras like LED tail lamps and ambient interior lighting. Last year some of the Malibu lineup got new wheels—including 17-inch bright-finish alloy wheels on the 1LT and Chrome Tech alloys with the 2LT. Now for 2012, the Malibu gets a few more feature changes, including a new Sunroof and Convenience Package for the 1LT that adds a power sunroof, a power driver's seat, Bluetooth, and a 110-volt power outlet. Bluetooth isn't standard, but it can also be added via the new LS Uplevel Package. Otherwise, the Malibu's sound systems feel somewhat dated, as they lack some of the connectivity features that we've come to expect in this class. USB input is only available in top LTZ models. Also, other than the OnStar-based navigation, there remains no screen-based nav option on the Malibu. The four-cylinder version of the 2012 Chevrolet Malibu is quite efficient and green, considering its interior space and comfort. Between both of the 2012 Chevrolet Malibu's available engines, the four-cylinder is the obvious pick for those who want to make greener choices. The V-6 Malibu's unimpressive 17 mpg city and 26 mpg highway fuel economy is countered by the economical four-cylinder model at 22 city and 33 highway. That's due in part to a more efficient six-speed automatic now mated to the smaller engine, which sports a taller top gear. The Malibu is flex-fuel-capable, too. Just keep in mind that on E85 (85 percent ethanol), it's only rated at 15/23 mpg. Relative to its class as a whole, the Malibu isn't one of the top achievers, though. 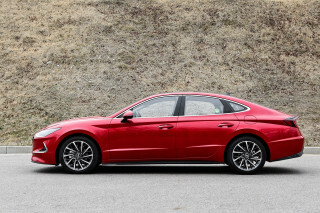 Several models, such as the Hyundai Sonata, meet or exceed 35 mpg on the highway, and the Ford Fusion Hybrid and Toyota Camry Hybrid are even better. Don't buy. It's nothing but trouble. This car has been giving me a lot of problems. I would not been buying another one. Great Car for a family.